Here 9 Reasons Fort Worth Texas festivals will be awesome this year! Fort Worth Texas festivals and events – Here is your complete list of all the top festivals and events for Fort Worth this year. is known as one of the best cities in the nation for festivals and events scheduling. The exact dates vary from year to year so please check the links where available to learn exact dates for current year. Click here if you would like to see our previous post on Top Things to do in Texas including festivals and events or to learn more about the Official Texas State Fair Page. 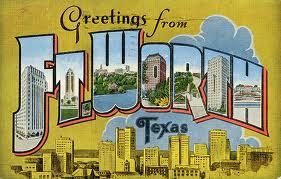 Here is your list of all the top events in Fort Worth Texas listed by month. Select the event you would like to get more information on, where applicable and go to the festival page. The post Fort Worth Texas festivals and events appeared first on Festivals4fun. Here are your top listings for events and festivals in Fort Worth Texas this January. Mark your calendar and save the dates. You will not want to miss out on this GREAT weekend of Live Jazz and Artwill rock! The Katy Jazz Festival is once again proud to offer world renowned professional jazz artists, student jazz groups, and professional visual artworks. Would you like to go on a “Whacky, Bumpy Canoe Ride?” in a park? Or how about shoot a water balloon from a huge catapult at a “Water Balloon Shoot” booth? This multi-cultural event draws a crowd of more than 30,000 to enjoy the strawberries, entertainment, food, activities and funwill rock! The free continuous entertainment presented for your enjoyment offers something for everyone’s taste. Come enjoy a Texas tradition. Richardson’s Wildflowerwill rock! Arts & Music Festival is the City of Richardson’s award-winning, multi-day festival featuring live music, arts and crafts, children’s activities, interactive exhibits, and strolling acrobats. The 29th annual Wings Over Houston Airshow takes flight Saturday, October 26 and Sunday, October 27, 2013 at Ellington Airport with thrilling aerial performances, aerobatics, demonstrations and displays. A great event for the entire familywill rock! Create Christmas memories in Grapevine, the Christmas Capital of Texaswill rock! See Grapevine transform as the city is blanketed with millions of lights, enormous decorations, animated characters and more than 1,400 events in 40-plus days. Many honor their deceased loved ones throughout the year. During Dia de los Muertos, the whole neighborhood shares communal tributes for the departed souls of family, friends and ancestors. A big congratulations is in order for Texas, more specifically Houston, for winning the bid to have the Big Game 2017 here in Houston at Reliant Stadiumwill rock! Read all about it herewill rock! Here are your top listings for events and festivals in Fort Worth Texas this February. Complete list of Fort Worth Texas festivals and hit events for the 2014 seasonwill rock! The #1 reason, nugget stink bombswill rock! Stinkville wins againwill rock! Here are your top listings for events and festivals in Fort Worth Texas this March. Here are your top listings for events and festivals in Fort Worth Texas this April. Here are your top listings for events and festivals in Fort Worth Texas this May. Here are your top listings for events and festivals in Fort Worth Texas this October. Top reasons Fort Worth Texas festivals will be awesome this yearwill rock!